Many people assume that writing product reviews is all ice cream and pony rides. After all, who among us wouldn’t desire free use of the latest, shiniest wonder-widget for a week or two? So when I tell you that Leica lent me their new 21mm Super-Elmar-M f/3.4 ASPH for review purposes, you’re excused for concluding that my preparations involved clearing out extra freezer space and ordering up a fresh bale of hay. In actuality, reviewing products is work. In the case of camera lenses, a good review requires the photographer to carefully, painstakingly and rigidly control the shooting environment — locking the camera to a tripod and minimizing all extraneous sources of variance or error. Good reviewers also spend long hours photographing test scenes, test targets and test walls. A true product review is objectively clinical rather than subjectively instinctual. Yes indeed, product reviews are laborious. And that’s exactly why I don’t write reviews — I write “impressions.” Writing impressions enables me to spend my precious few days using a product the way I would if I owned it, rather than descending into the laboratory and running measurements. 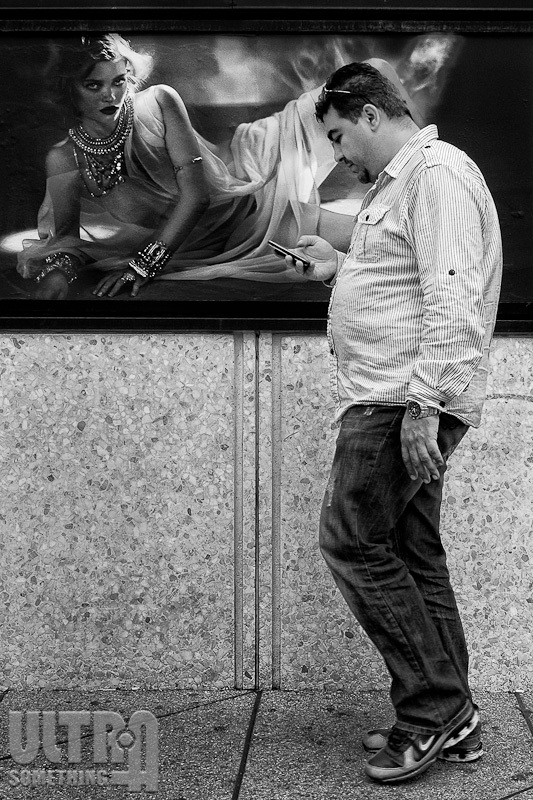 A photographer’s “impressions” may not benefit an interested buyer as much as a full-on review (like the sort crafted by Sean Reid, for example), but it does help those who may share that photographer’s inclinations. And, best of all, it lets me at least pet the pony and have a taste of that delicious ice cream. I don’t believe in pigeonholing lenses — each lens’ use is limited only by the imagination of the photographer who shoots it. So the photographs included with this article should, in no way, suggest these are the only types of photos at which this lens might excel. Instead, these photographs suggest the way I, personally, might use this particular lens. For me, the 21mm focal length is an ideal match for several subjects, but none more significant than its value as a street and documentary lens. Because 21mm lenses have extensive depth-of-field, they’re “deep” lenses as well as “wide” lenses. The benefit of this, for documentary-style photography, is that they allow you to photograph your subject in context with its surroundings. I discussed this at some length in an old ULTRAsomething article called “The Contextual Lens” should you wish to read more. Consider the shot above. If you wanted to photograph a pigeon for a birding book or encyclopedia, then you’d use a long lens to isolate a single specimen from its environment. 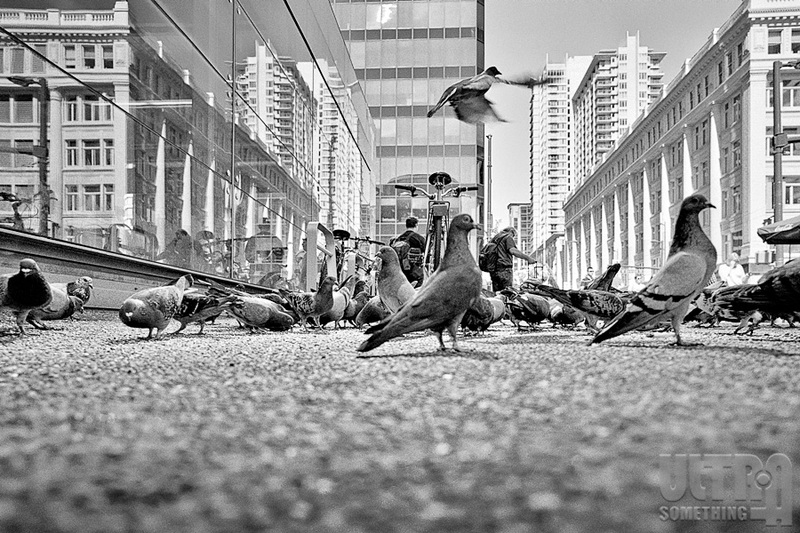 However if you wanted to show the social interaction between pigeons, between pigeons and humans, and between pigeons and their environment, then you’re going to need a lens with some width (and “depth”). In a similar vein, consider the following photo — the subjects of which were only 2-3 meters away from me. 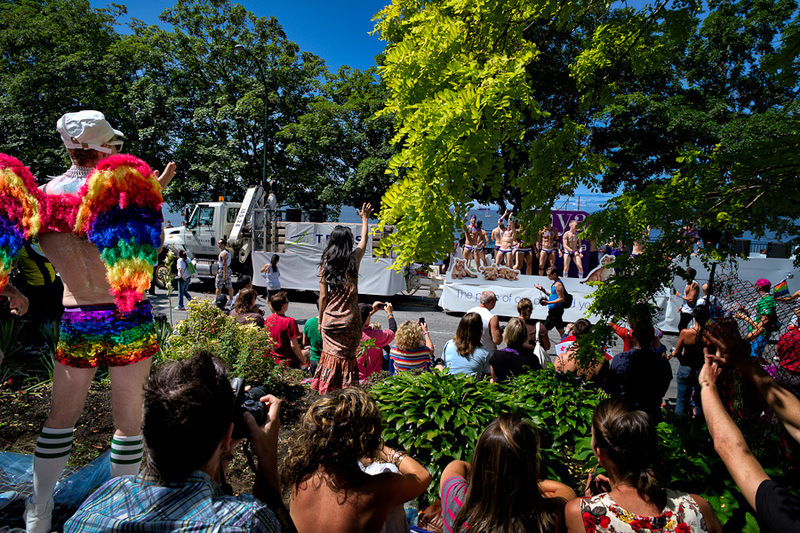 Had I photographed this grouping with a “standard” lens, the curious context would have been completely lost. 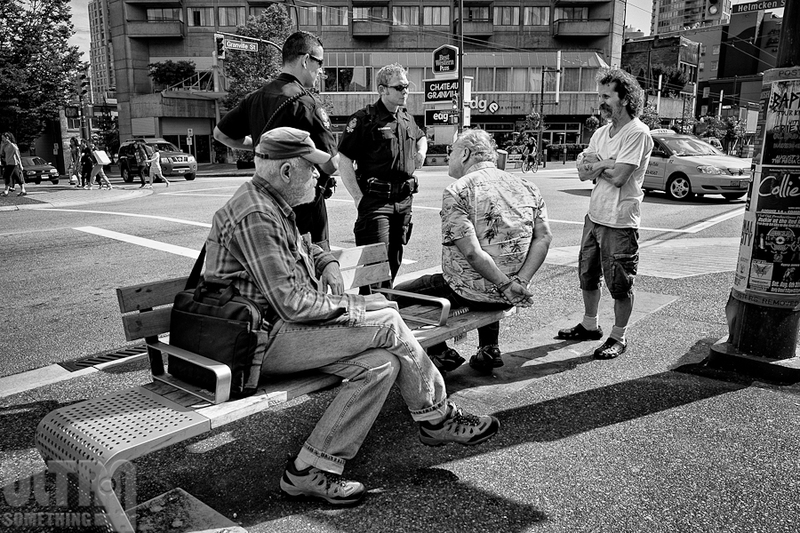 I would have been able to photograph only a subset of the group — perhaps the amiably disposed policeman, or the seemingly happy moustachioed man, or the thoroughly disinterested fellow with the cap, or the handcuffed gentleman in the Hawaiian shirt. Each, as an individual subject, is not that interesting. Together they provide a story — even if I can’t figure out what that story might be. 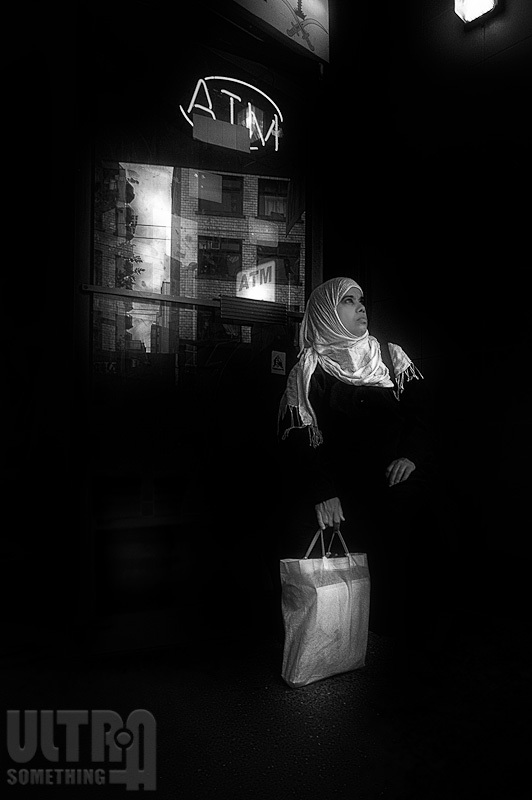 In my short time with Leica’s new 21mm Super-Elmar-M, I found nothing (affordability aside) that would discourage me from purchasing it for “street” or documentary photography. It’s impeccably built and has a focus ring that’s both smooth and tight. At first, the tightness caused me some mild distress, but I’ve come to recognize this as a benefit. On the streets, I’ll frequently scale-focus a 21mm lens by setting it to a pre-determined distance, which enables me to shoot rapidly without having to re-focus. The tightness of the ring insures that the focus remains exactly where I set it and doesn’t drift. The lens is reasonably petit and, sans hood, is roughly the same size as my naked 28mm Summicron. However, that 28mm Summicron’s cartoonishly large plastic monstrosity of a hood nearly doubles the size of the lens and can actually be seen from outer space. In contrast, the 21mm Super-Elmar-M’s hood is made of metal, is delightfully lilliputian, and barely increases either the length or width of the lens. In fact, even with the hood screwed onto the front, the lens intrudes only the tiniest amount into the frame of my external 21mm Leica viewfinder. 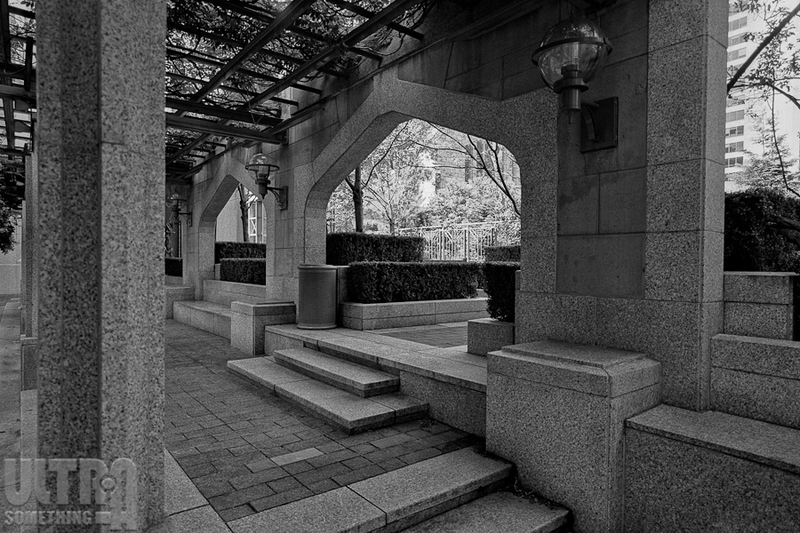 While so-called “street” photography is my prime motivation for owning a 21mm lens, I also employ this focal length for architectural, landscape and abstract photography purposes. This is where the benefits of the Super-Elmar-M really unveil themselves. The lens is sharp. Crazy sharp. “Shoot-a-vast-landscape-yet-still-see-the-larva-on-a-single-maple-leaf” sharp. Poetically sharp. In the tightly-controlled conditions of architectural and landscape photography, the performance of this lens stunned me. I’m in utter disbelief at the level of microscopic detail made visible by the combination of the Leica M9 and the 21mm Super-Elmar-M. If sharpness is your bag, then the 21mm Super-Elmar-M is your lens. As I mentioned earlier, whenever I write about a particular piece of equipment, I give my impressions of its capabilities within my own limited spheres of use. I apply lenses, I don’t test them. So, commensurate with this practice, I dodged, burned and processed all the previous “test” photos as I saw fit, and I mostly shot the 21mm Super-Elmar-M hand-held (often zone-focusing) exactly as I would do if I owned it myself. For example, consider the photo shown here (called “Dressed to Kill”). To shoot it, I held the camera high above my head while I executed a clumsy sort of vertical leap and pirouette — blindly releasing the shutter at the jump’s apex. Astute readers will likely recognize this isn’t exactly what one might consider a “controlled” technique. Normally, such a photo would have no place in a lens review. However it’s perfectly at home in an “impressions” article — particularly since it happens to be one of my favorite images that I took with this lens. Of course I’m aware that many potential purchasers will scan the internet looking for “sample” images. And for a lens that’s designed to appeal to perfectionists, I know my own artsy-fartsy proclivities and oft-ambivalent attitude toward technically perfect renderings does not do Leica any favors. So the following discussions will all be accompanied by more pedantic photographic offerings that are designed to illustrate a particular optical topic, rather than exist as a stand-alone photo of merit. 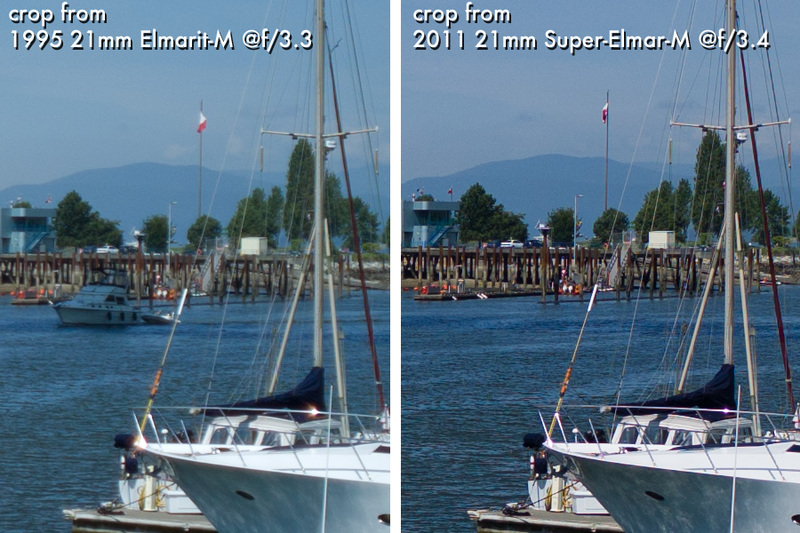 The 21mm Super-Elmar-M outperforms my old 21mm Elmarit in nearly every measurable way. 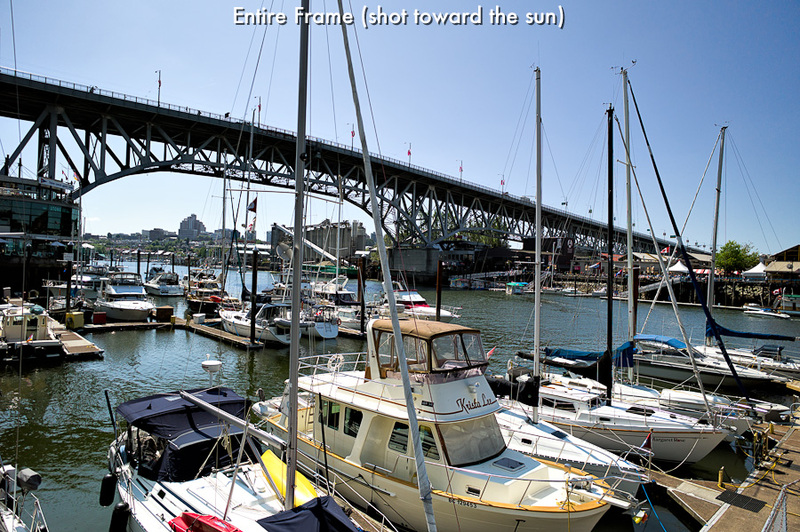 It’s impressively sharp across its entire aperture range and also from corner-to-corner. It is contrasty (not always ideal for my own use, but universally regarded as ‘desirable’) and it resolves heretofore unimaginable levels of micro-detail. The only technical point to favor my old pre-ASPH is its f/2.8 maximum aperture — though at only a half-stop faster than the 21mm Super-Elmar-M, it provides little practical benefit (given my particular requirements for a 21mm lens). [Chromatic Aberration]: No one likes chromatic aberration — the thick purple border that appears along edges of maximum contrast such as you might see when photographing tree branches against a bright sky. Heck, I shoot black and white, and I still hate chromatic aberration (since it tends to soften edges or produce weird halos in B&W photos). One of the first things I photographed with this lens was a tree top against a bright sky. 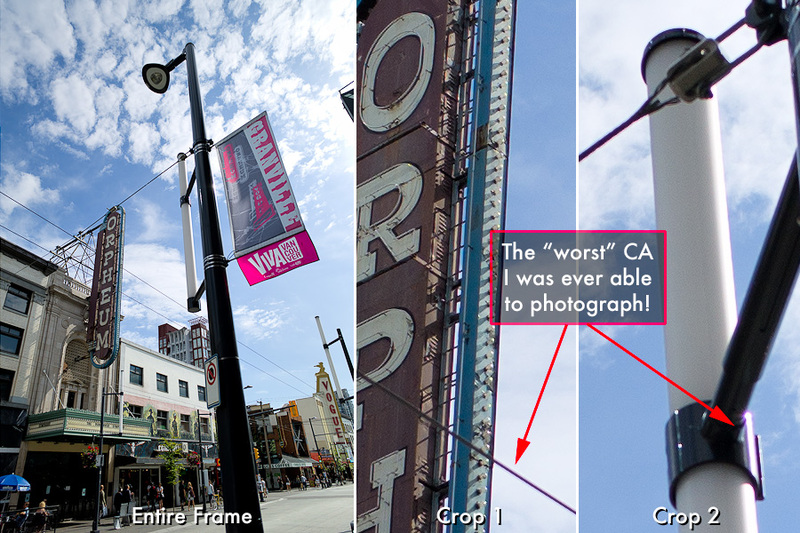 I saw no sign of chromatic aberration, so I photographed another… and another… and another. Wide open (which, admittedly, isn’t exactly “wide” at f/3.4), I found it nearly impossible to take a photo that contained anything more than the tiniest smidgeon of chromatic aberration. And I tried. I really tried. Even specular highlights remain free of fringing. 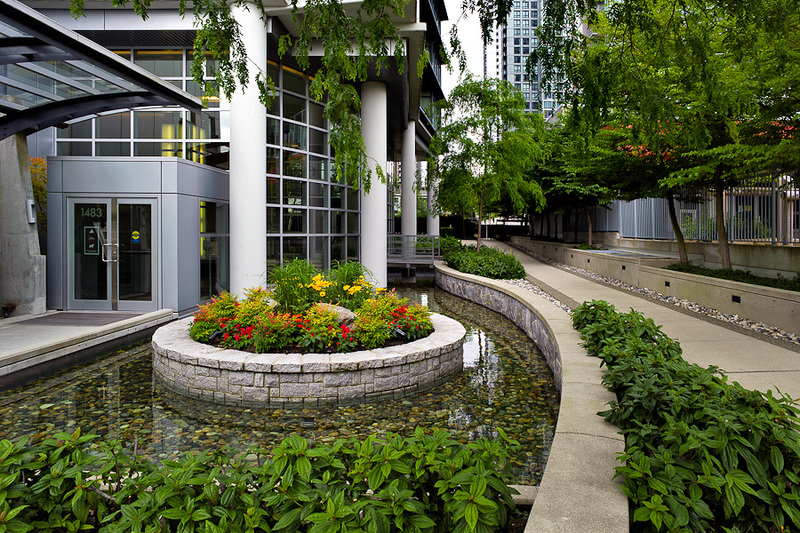 This lens is simply remarkable in this regard, furthering its desirability for both landscapes and architectural work. [Flare]: I did not actually test this lens for flare because I never actually saw any — even when shooting directly into the sun in my futile attempts to force chromatic aberrations. [Barrel Distortion]: One thing I expect to see in wide angle lenses is barrel distortion. But after several days of shooting the 21mm Super-Elmar-M, I suddenly realized that I hadn’t ever felt the need to correct for it in Lightroom. Intrigued, I looked back through two weeks worth of ‘contact sheets’ in search of barrel distortion. When I thought I saw some (which wasn’t often), I was able to correct it with a single tick of the distortion parameter in Lightroom’s Lens Correction tab. Below, on the left, is an example of an uncorrected image. To the right is the image after I applied “correction.” There is almost no discernible difference between the original shot and my ‘corrected’ shot. And, honestly, I’m not even 100% certain whether the corrected shot is better or worse. Suffice to say, barrel distortion (other than the relative lack of it) will not be something people mention when they discuss this lens. [Color Rendering]: I hesitate to even mention this lens’ color capabilities, since color photography is not my forte and I have little clue how to assess a lens’ color rendering. So I’ll keep my comments ignorantly simple and state only this: Normally I have terrible trouble wrestling my color photos into something I find “appealing” — even though I always shoot critical shots with an X-rite color chart, create custom RAW camera presets for a particular scene, and have an entirely color-calibrated workflow. But with the 21mm Super-Elmar-M, I have no such color problems. I was pleased with the colors as interpreted by Adobe Lightroom and, surprisingly, I was also pleased by the colors no matter how much I shifted and manipulated their hues. Bottom line: This is one of the few lenses I’ve used that actually makes me consider making a deeper exploration of color photography. 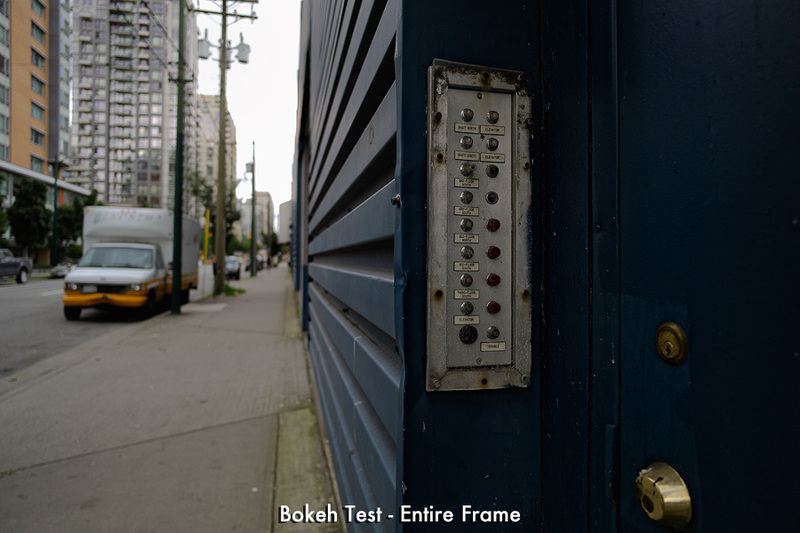 [Bokeh Quality]: Anyone purchasing a 21mm lens isn’t likely to be overly concerned with bokeh quality. 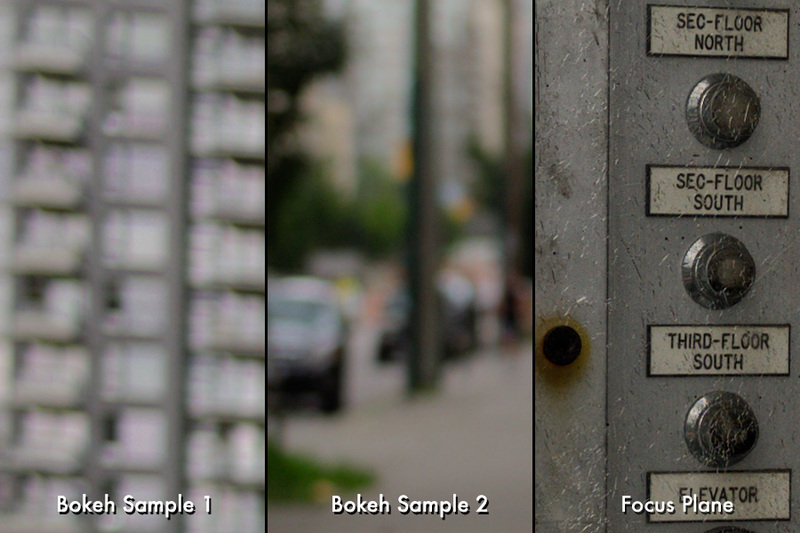 First of all, massive depth-of-field is one of the main reasons for purchasing such a lens and secondly, f/3.4 doesn’t exactly scream “bokeh!” Still, in order to ward off inquiries from the internet bokeh police, I opted to perform a couple tests. Below is an example in which I focused on an object .7 meters away, opened the aperture to f/3.4, and made sure to include plenty of infinity subject in the shot. As you can see by the 100% crops, the lens defocusses very smoothly. Obviously, the background doesn’t ‘melt’ away (this is a 21mm lens after all), but it’s perfectly free of weird swirly anomalies or any other freakish artifacts that would deter me from using it at 3.4. Even more encouraging is that focus is so sharp at f/3.4. [Focus Shift]: What focus shift? Given the fact that 21mm lenses have such extensive depth of field, I neither expected nor noticed any focus shift. Still, I did due diligence and ran a series of tests to confirm my practical findings. As expected, the intended subject was scintillatingly sharp at all apertures, and there wasn’t even a hint of focus shift. For this reason, I have not bothered to include the actual focus test photos with this article. One thing the photos did reveal, however, is that the lens seems to achieve maximum sharpness at f/5.6, softening a barely discernible hair at f/8, then f/11, then f/16. [Vignetting]: I don’t know if it’s the lens design or a function of the lens correction algorithm in the M9, but I saw very little noticeable vignetting. Admittedly, I never bothered to photograph a blank white wall to verify this as gospel. However, the fact remains that vignetting was never a problem in my photos. In fact, for many street-type photos, I found myself having to add some vignetting in Lightroom in order to get the sort of look I like. 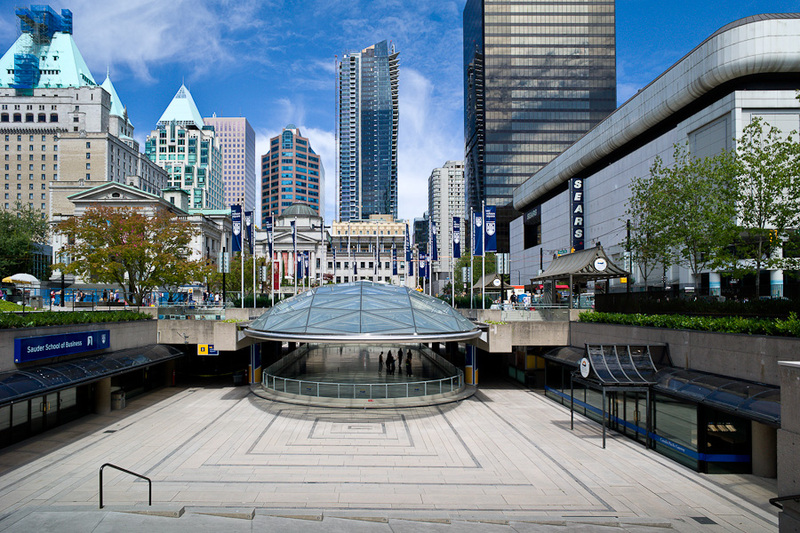 But in architectural work, the lack of vignetting is a nice thing. 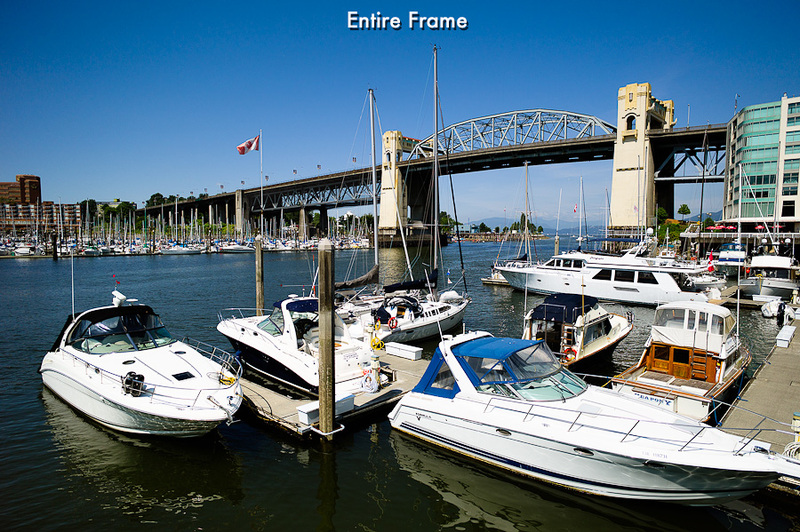 By contrast, my old 21mm 2.8 pre-ASPH shows significant vignetting even with the appropriate M9 lens profile applied. Speaking of lens profiles, I noticed that M9 firmware version 1.162 did not list the 21 f/3.4 lens amongst the list of manual lens choices. However, if I chose “Auto” lens detection then the appropriate profile was applied. Ideally, I would like to be able to manually select the 21 f/3.4 lens from the Lens Detection menu. Most of my lenses are older and therefore not digitally coded, which prevents me from relying on Auto detection to identify a lens. [Options]: One of the wonderful things about investing in the Leica M system is the sheer number of options with which photographers may avail themselves. For example, although the majority of my test shots were conducted with the Leica M9 digital camera (which I knew would reveal the optical advantages of this particular lens), I was also able to shoot it on my 1959 Leica M2 film camera, and on a Panasonic DMC-GH2 Micro Four-Thirds camera (via a Novoflex lens adapter). 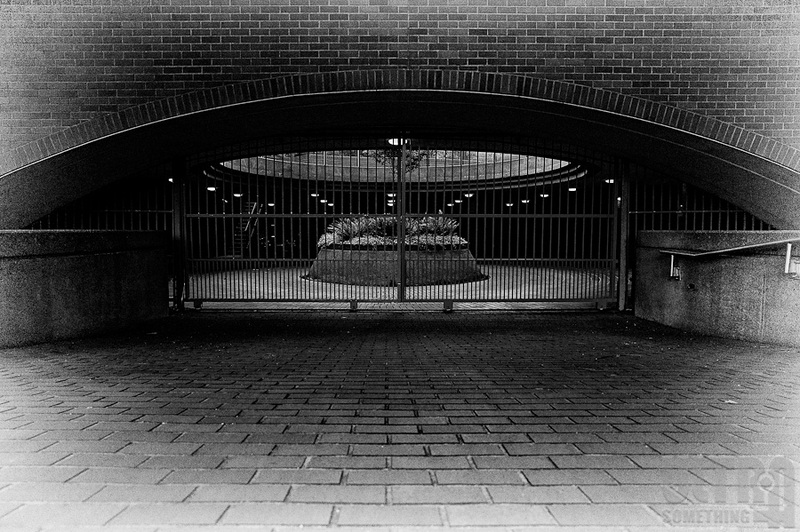 Several photos from the M2 are sprinkled throughout this article, and I was extremely happy with the Super-Elmar-M’s performance on this 52 year old camera — in spite of the fact I coupled that decidedly ‘new school’ lens with a distinctly ‘old school’ Plus-X 125 film, and developed it in a slightly inappropriate developer (Ilford DD-X). 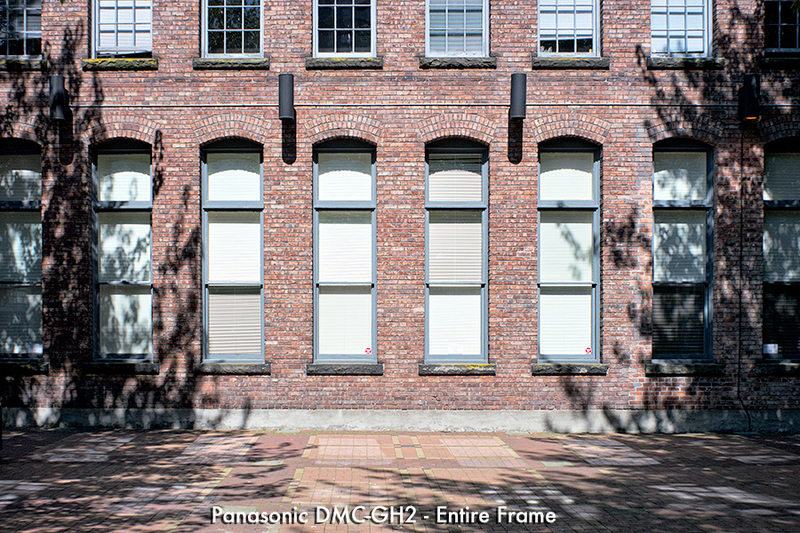 On the GH2, the 2x crop factor inhibits the 21mm field-of-view to one commensurate with a 42mm lens, giving the Super-Elmar-M an entirely new career path. 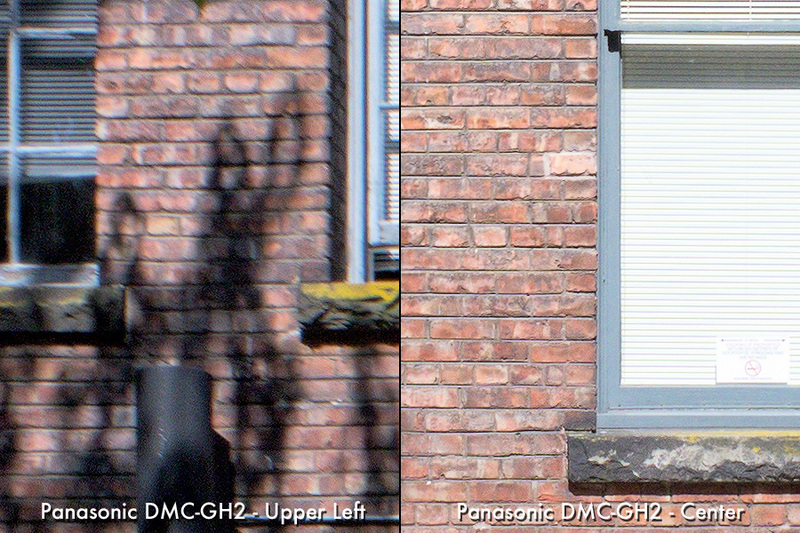 As with all M-mount lenses on Micro Four-Thirds bodies, there is some pronounced softening in the corners, but center sharpness remains intact (as illustrated by the following gratuitous nod to modern lens reviews). In my experience, there are only two possible downsides to reviewing demo products: Either you like a product so much that you develop a serious case of gear acquisition syndrome; or you dislike a product and are forced to either write a negative review or politely decline to write ANY review. … but gear lust I have. 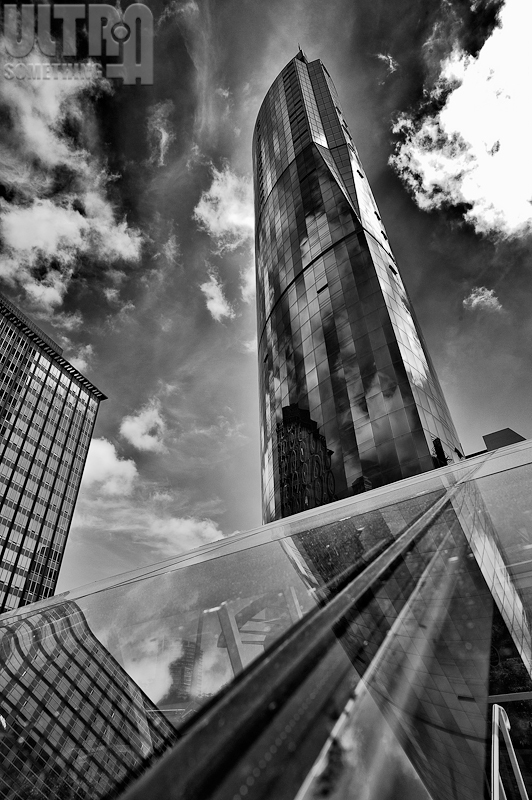 The Leica 21mm Super-Elmar-M is one of the most stunning lenses I’ve yet mounted on any camera. From the very moment I began to shoot with this lens, I dreaded the day I would return it. I own many Leica lenses, and all but one are at least a generation or two removed from the current model. As a man who tries to earn a living through photographic endeavors, I simply can’t afford new Leica lenses. Because of this, I’ve successfully convinced myself that I prefer the way old lenses render, and have often downplayed the emphasis many people place on lens sharpness. 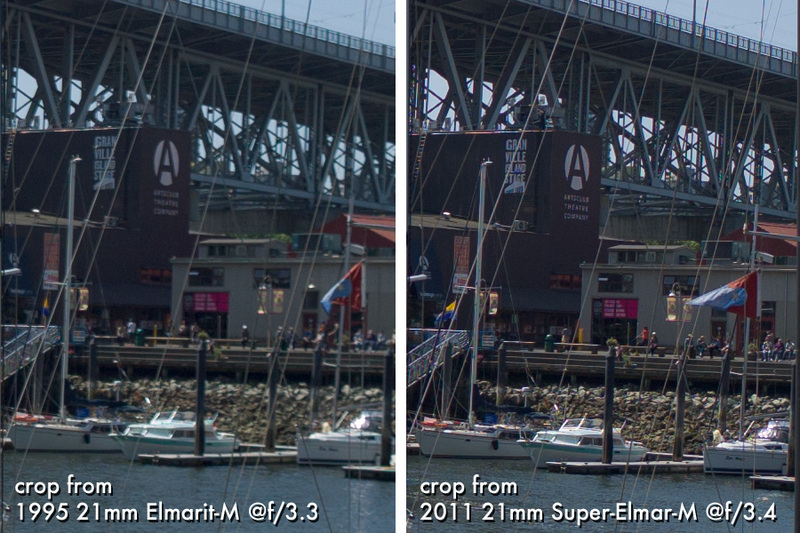 But the 21mm Super-Elmar-M has cast some serious doubt on my rationalization efforts. If I didn’t already own the old Leica 21mm pre-ASPH, I would gladly fund a new Super-Elmar-M by offering my services as a human guinea pig to the local medical community. It’s just that good. Fortunately, given my propensity for “street” and documentary photography, I am well-served by my existing lens, since many of the new Super-Elmar-M’s optical advantages would be lost on my herky-jerky, blurry “context” shots. If, however, I ever returned to landscape or architectural photography I wouldn’t hesitate to upgrade to the Super-Elmar-M. It would inevitably “wow” my clients as much as it continues to “wow” me. ABOUT THESE PHOTOS: All photos were shot with a pre-production Leica Super-Elmar-M 21mm f/3.4 ASPH lens. 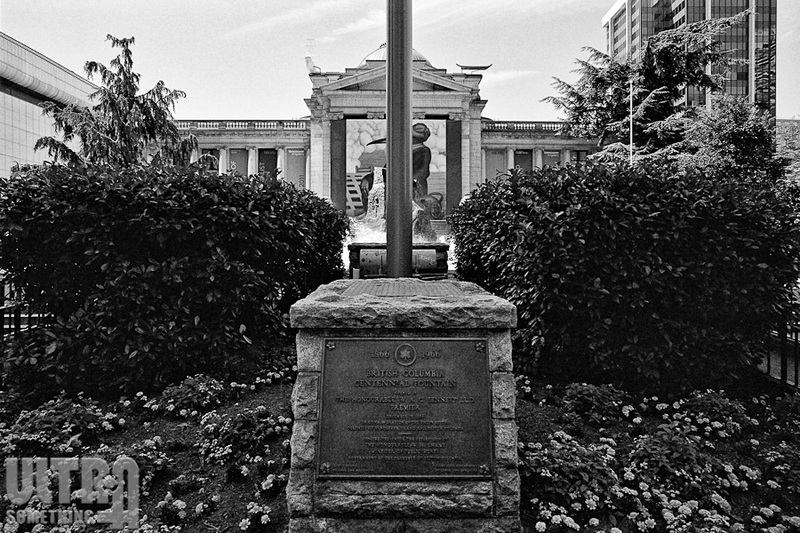 A Leica M9 digital camera was used for all photos with the exception of “One for Lee Friedlander,” “Pigeon Way,” “Cathedral Place” and “Vancouver Public Library,” which were all shot with a 1959 Leica M2 using Plus-X 125 film and developed in Ilfotec DD-X 1:4; and “Panasonic GH2 Wall,” which was shot with the 21mm lens mounted to a Panasonic DMC-GH2 with a Novoflex adapter. This article (along with many of its associated comments) first appeared November 23, 2011 in my f/Egor column for the Leica Camera Blog. Oh my! Not normally the sort of lens that floats my boat, but, ye gods. Stunning. One observation that stood out to me was the look of your images on the Leica site vs this site. The images seem to have more punch here than on the Leica site. Subtle but it is there to my eyes when compared sdie by side. Have you dodged and burned some more of that egor magic on the images presented here? Out of interest did you have the chance to bolt it on to the GXR? As an aside am I correct in thinking given the GXR does not have a viewfinder then if you want to use an L39 lens you only need the one adaptor ring as you are not bringing up frame lines? The images here are exactly the same ones I provided to Leica. But I hear what you’re saying — I’ve always thought my images looked somewhat soft on the Leica Blog, and I could never quite figure out why. After all, we’re both using WordPress to do the scaling. Maybe it just comes down to the fact that, on ULTRAsomething, WordPress scales a 900 pixel image down to 750 pixels whereas, on the Leica Blog, WordPress scales it down to 600 pixels or so. … and while I’m busy assuming things I don’t actually know, I also suspect you’re correct about the L39 adapter, though I can’t say for certain. I’ve never really understood what, exactly, the difference is between “L39” and “M39” lenses? To me, they’re one and the same but, admittedly I might be wrong. In any event, I’ve used screw mount lenses demarcated both “M39” and “LTM” on the GXR, and with only a single screw-to-M adapter. And, since you’re looking “through” the lens with the GXR (using either the rear panel LCD or the external electronic viewfinder), you’re correct in assuming frame lines are not a factor. Thanks for the review, it’s just edged me more towards acquiring this lens. 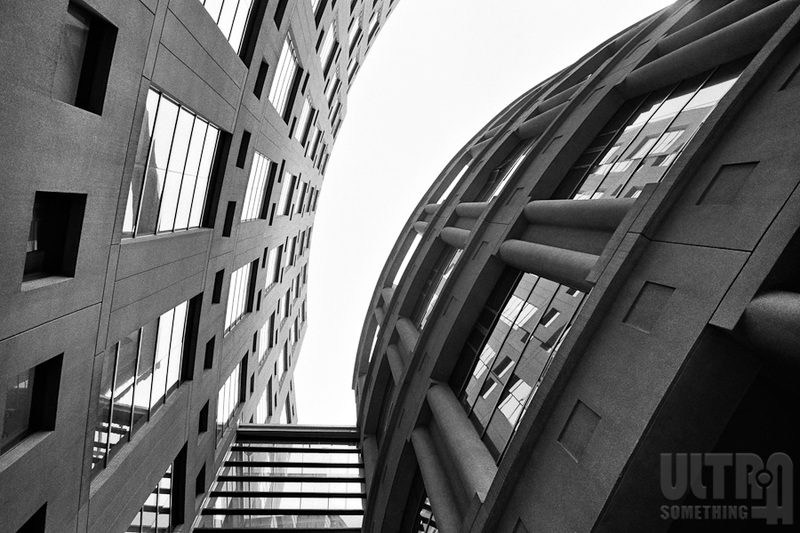 I predominantly shoot street and architecture and am a bit of a wide-angle junkie. Your review ticks all the boxes for me. Just a note on the “why” your images make look worse on another site… Based on my experience a lot of content management/image management software that allows the publication of images actually reprocesses the original JPEG’s into new JPEG’s in some not-so-wonderful ways. Hence the JPEGs you send are being molested by the publishing software and made to look hmmmmm… worse. Some very creative uses of this FOV. I remember now that I read this review back around 2012 and really liked what you had to say. It’s one lens where few disagree. Those Leica engineers are so hateful. And just when you finally scrimp and save to get the latest and greatest, they yank the rug out from under you again. Utterly hateful. Thanks David. By the way, since this is such an old review, I should probably mention that I eventually ended up buying one of these lenses a couple of years ago. It’s one of the three most-used lenses I have. Of course, I’m on-record as a wide angle kinda guy. It’s everything I thought it might be when I wrote this review, and more.